Listed on the National Register of Historic Places and operated by the Atlanta History Center, the Margaret Mitchell House is a turn-of-the century, three-story, Tudor Revival building where Margaret Mitchell lived and wrote her Pulitzer Prize-winning book, Gone With the Wind. Parking: Free parking is available adjacent to the property. 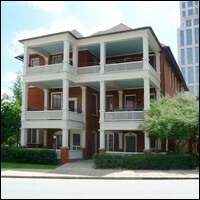 MARTA: Margaret Mitchell House and Museum is one block east of the Midtown station. Leave the station by the Peachtree Place exit. Turn left and walk up the sidewalk to Crescent Street where you will make a left toward the house.